Cake has never been my thing. My sugars of choice have been more along the lines of ice cream, cheesecake, and chocolate. But wedding cake is different. It's dense, super moist, and just so good! After reading about them online for so long, I had my first Sprinkles cupcake at the Fast Track Workshop last year. But their nearest location is San Francisco, so I was super excited when my good friend Sheri told me about an all cupcake bakery near us! 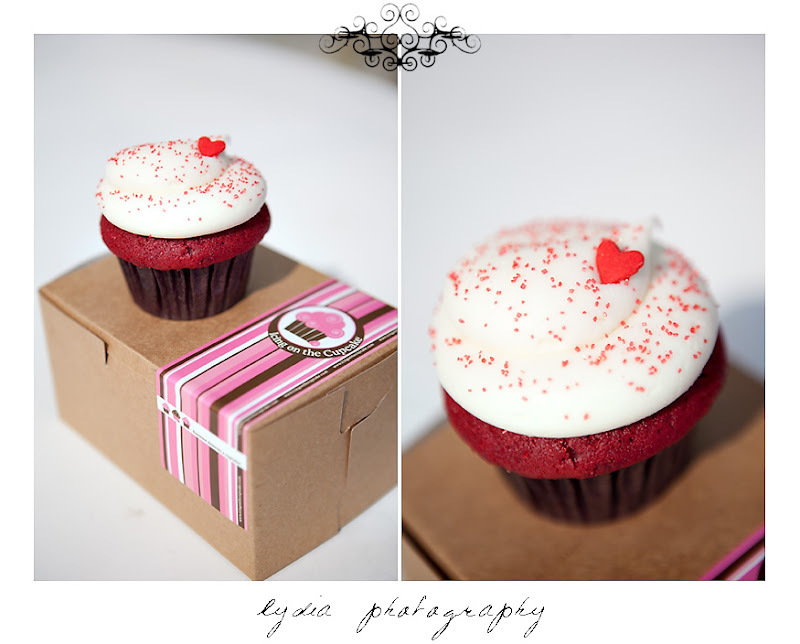 From the cute pink and white decor to the little brown boxes, Icing on the Cupcake is an experience! And it doesn't hurt that their humongous cupcakes are delicious! Perfect for parties and weddings, I've now got my own cupcake spot in town! So cute! Our family doesn't really do cake either, but those look delicious! @Jordan The one I had was red velvet, and it definitely surpassed the typical grocery store cupcake! YUMMY!!! Oh, and if I could pick up my life and drop it in California I would ;) ...now that I have permission, hehe. Hi! I wanted to thank you VERY much for your thoughtful comment on my photography blog. :) I appreciate it so much!